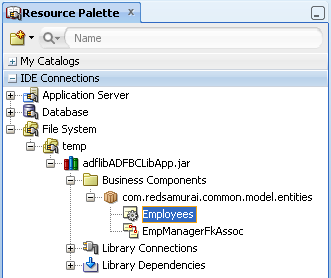 This week I came across ADF BC library import problem onsite. ADF BC library was very large, around 1000 EO's. 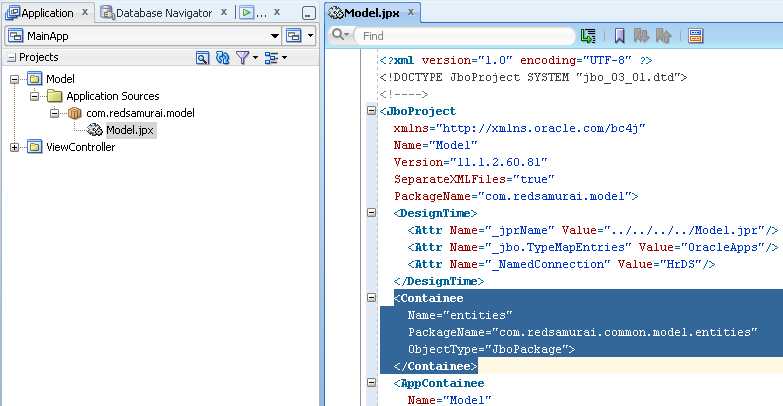 EO's were not visible through JDeveloper wizard from consuming project after import. 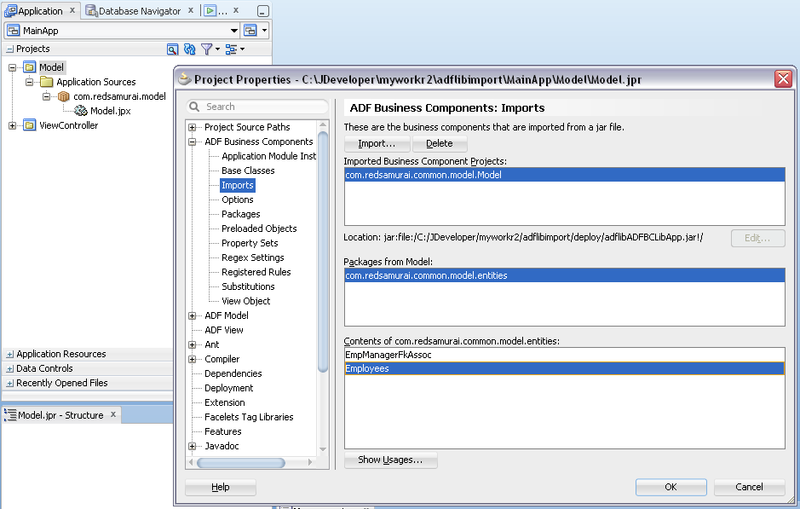 At first I was this is related to library size - too many ADF BC objects, JDeveloper fails to list them through ADF library import. But this proved to be false assumption, when I tested with smaller library. 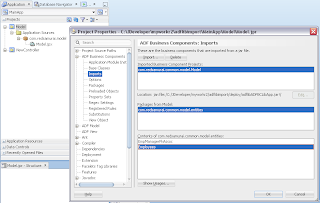 At the end I found there was duplicate definition for EO package path inside consuming project, it was duplicate to the one from ADF library. 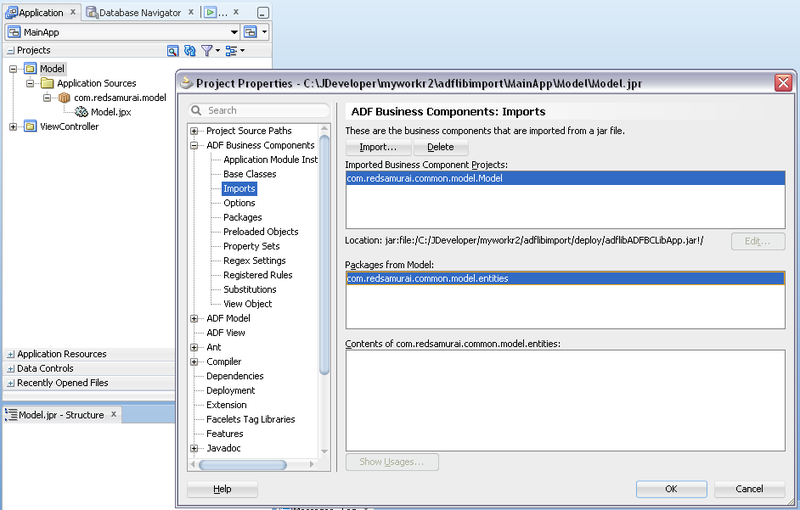 This was a reason why JDeveloper wizard was not resolving imported ADF BC. 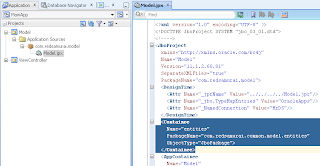 I will describe this case in a bit more detail, I believe this might be helpful (JDeveloper version - 11g R2 (11.1.2.x)). Download working sample application with ADF BC library import - adflibimport.zip. 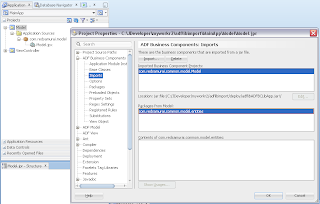 If you will encounter the same situation - no ADF BC objects visible from imported library, make sure to double check local Model.jpx file, may be you will find duplicate entry for package name from imported library. This has been the case with every version of JDeveloper as far as I can remember. Yes, but in 11g R2 - it generates automatically (randomly) package name from imported library into local Model.jpx and then it breaks. 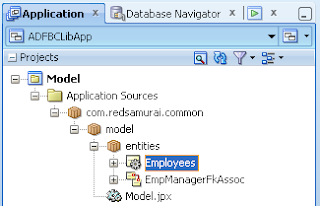 This happens without developer action, Is not simply about having unique package names across Model.jpx.